RIDGID Model 12-R (NPT) Exposed Ratchet Threader Set ½"-1¼". All matched Threader/Sets include Die Heads, Ratchet Assembly, Ratchet Handle and Alloy Dies. All Threader Sets use same 12-R Dies in Die Head. RIDGID Model 12-R (NPT) Exposed Ratchet Threader Set ½" - 2". All matched Threader/Sets include Die Heads, Ratchet Assembly, Ratchet Handle and Alloy Dies. 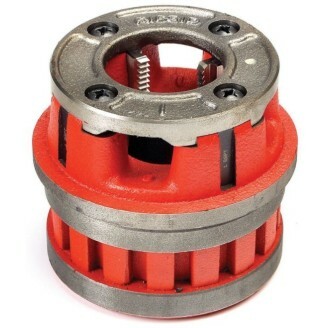 All Threader Sets use same 12-R Dies in Die Head. 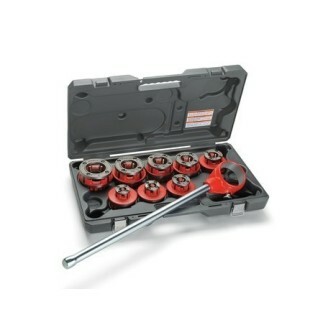 RIDGID Model 12-R (NPT) Exposed Ratchet Threader Set 1/8"-2". 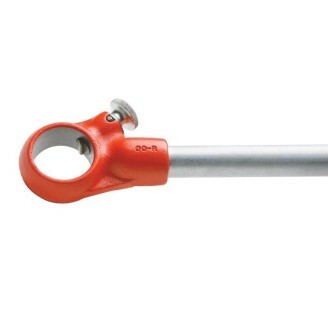 All matched Threader/Sets include Die Heads, Ratchet Assembly, Ratchet Handle and Alloy Dies. All Threader Sets use same 12-R Dies in Die Head. 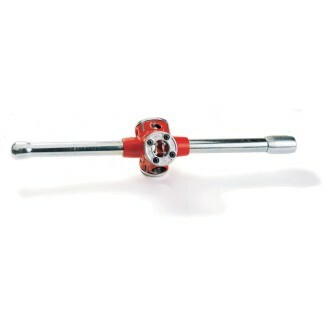 RIDGID Model 12-R (BSPT) Exposed Ratchet Threader Set ½"-2". All matched Threader/Sets include Die Heads, Ratchet Assembly, Ratchet Handle and Alloy Dies. All Threader Sets use same 12-R Dies in Die Head. 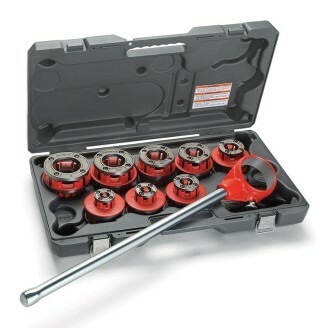 RIDGID Model 12-R (BSPT) Exposed Ratchet Threader Set 1/8"-2". All matched Threader/Sets include Die Heads, Ratchet Assembly, Ratchet Handle and Alloy Dies. All Threader Sets use same 12-R Dies in Die Head. RIDGID Model 11-R BSPT 3/8 -1¼ inch RH Threader & Plastic Case. Ratchet knob indicates forward and reverse. Die heads snap in from both sides and lock in place. RIDGID Model 11-R BSPT ½ - 1¼ inch RH Threader & Plastic Case RIDGID 11-R capacity: 1/2" - 1 1/4" Quick starting dies for threading pipe faster and easier. Ratcheting action to minimize operator fatigue. RIDGID Model 11-R ½ - 2 inch RH Threader & Plastic Case RIDGID 11-R capacity: 1/2" - 2" Quick starting dies for threading pipe faster and easier. Ratcheting action to minimize operator fatigue. RIDGID Model 11-R 3/8 - 2 inch RH Threader & Plastic Case RIDGID 11-R capacity: 3/8" - 2" Quick starting dies for threading pipe faster and easier. Ratcheting action to minimise operator fatigue. 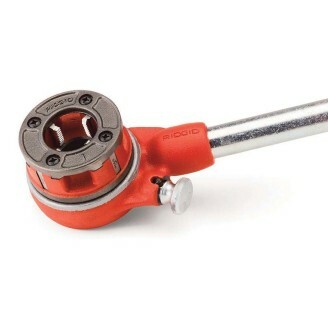 RIDGID Model 12-R Ratchet & Handle Only. 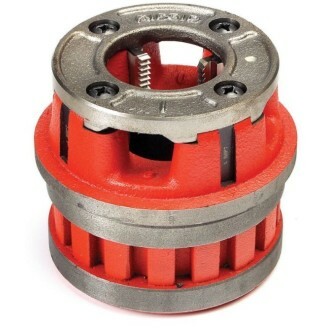 Ratchet knob indicates forward and reverse. Die heads snap in from both sides and lock in place. 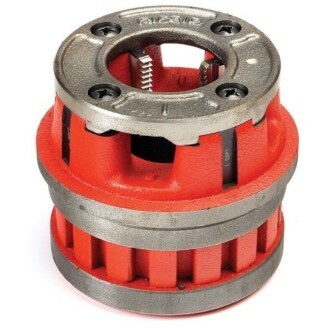 RIDGID Model 31A ½" - ¾" - 1" BSPT RH Threader cuts three sizes and uses 12-R ratchet threader dies. Three-Way Pipe Threader.